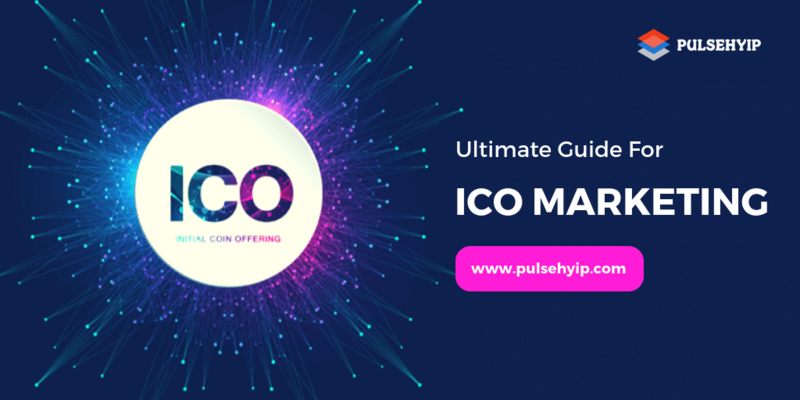 In this guide, Pulsehyip going to show you the exact steps, and ICO Marketing strategies which we used to help our clients to reach that exposure and create a successful ICO. This guide gives you a clear roadmap as to what to do and how to do it. The decentralized market and ICO is growing rapidly. An Initial Coin Offering(ICO) is a method by which startups raise their capital by trading their own crypto coin. Business owners and investors are interested in ICO because the returns are much higher than the initial investment. But most of the investors are afraid about fraud and illegal activities. Thus, to get the investor's trust, ICO Business owners have to prove its genuineness. If you want to make a successful and popular ICO business, you have to do the ICO marketing. Here is an ICO Marketing strategy that you should follow in order to make a perfect ICO Marketing. Creating an ICO Whitepaper is the first important step. A Whitepaper is considered as the stepping stone to success. You should provide your complete project details like your idea, your planning, legal aspects and every necessary detail in your white paper. Your whitepaper should convince your users on why they’ll get huge returns for your coins. 2. Create your ICO website and promote it socially. Creating an attractive ICO website for your company is very crucial one to make a better impression for your investors. Include all the information like your token, investment & return plans, Terms & conditions and more. Your website should have Contact Us, About Us and white paper pages. After creating your ICO website, it’s a time to promote it socially. You can hire right ICO marketers to promote your ICO website on social media. Advertise your websites on various social media platforms with attractive infographics, images, good content, and your offerings. Do you want that your website should be visible on rank #1 when a user is searching for best ICO? Well, Search Engine Optimization is the only way to get an organic reach. You can do the SEO effectively by hiring an SEO agency to help you. Recently, cryptocurrency / Bitcoin ads have been banned on Facebook and Twitter. However, ICO ads are still live on Google. You can sign in for Google Adwords and plan out ICO ads on Google. There are various cryptocurrency and bitcoin groups, communities, business pages and networks on social media. You should be a part of these communities and actively take part in ICO discussions and events. These communities will provide you with opportunities to meet many business owners, investors, and like-minded people. Email marketing is still working and active for an ICOs. Sending bulk emails and creating an attractive newsletter to people who have subscribed to you will allow you to market your ICO. Pulsehyip is one of top most Cryptocurrency & blockchain Development Company provides ICO & ICO marketing services for our clients. With our experienced ICO experts, we have listed this ultimate ICO marketing strategies. Following these ICO strategies, you will get the best Investors and a potential reach in the market.